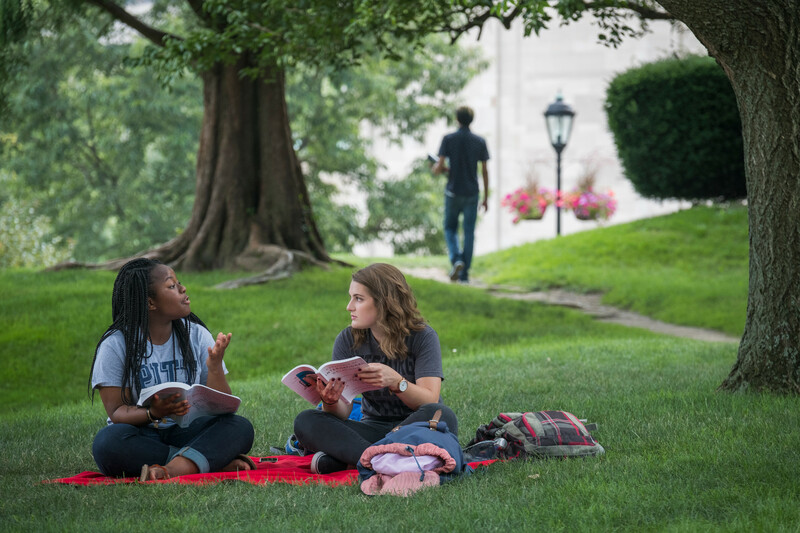 The Department of Psychology welcomes students of all backgrounds into our undergraduate major, graduate training programs, and research mentorship programs. A Diversity Committee plays a key role in building and supporting a diverse and inclusive community of scholars. The Diversity Committee is open to faculty, staff, and students with a shared interest in increasing representation, inclusion, and equity within the department and in the broader research community. Two goals guide its initiatives and activities: (1) to support research addressing diversity, and (2) to increase the involvement of individuals from underrepresented backgrounds in the academic community. The committee organizes a number of events throughout the year, such as hosting departmental colloquia speakers, hosting diversity training, and helping to coordinate our VIPitt weekend for prospective graduate students. Its members are also deeply engaged in our research mentorship programs. PsychDRIVE is a research mentorship program to support students who are typically underrepresented as Psychology majors, including first-generation college students and students of color. Participants in this program are eligible for $500 research fellowships. The Summer Undergraduate Psychology Research Experience (SUPRE) Program, supported by a grant from the American Psychological Program, was launched in 2017. It offers undergraduates from underrepresented backgrounds a stipend to spend 8 weeks working with a faculty mentor on a research project. The department partners with the Dietrich School of Arts and Sciences to offer the Hot Metal Bridge Program — a two semester post-baccalaureate fellowship for underrepresented students that bridges the gap between undergraduate education and graduate training. The comprehensive program prepares students to apply and attend doctoral programs in psychology or related disciplines. The department hosts VIPitt, a visitation program for underrepresented students interested in pursuing graduate training in psychology in our department. VIPitt provides an opportunity for students to visit Pittsburgh, connect with potential mentors, meet current graduate students, and receive feedback on application materials. Graduate students from underrepresented racial/ethnic backgrounds are eligible for fellowships from the Dietrich School. The department nominates candidates for this fellowship on the basis of information provided by applicants to our training programs. We encourage students to become involved with the diversity committee! A two-semester post-baccalaureate fellowship program designed to help talented students from traditionally underrepresented groups in their academic disciplines. Kudos to Jamie Amemiya, Allison Liu, and Emily Braham, who have been awarded University Council Research in Diversity Awards. Each of their projects will help to advance research that tackles issues of research and inclusion, and foster new diversity-related collaboration within Pitt. Shout out to Melinda! Melinda Ciccocioppo was awarded one of the few Diversity in the Curriculum awards from the University for her hard work in transforming her Intro Psych class! The award was offered to faculty who made changes to a course in order to positively impact diversity and inclusion in the classroom. Changes made to Melinda's course included coverage of research by female psychologists and psychologists of color who are often overlooked in Introduction to Psychology textbooks, as well as more in-depth discussions of gender and sexuality, prejudice, racial identity development, and multicultural approaches to therapy. Audible gasps were heard when it was noted that she reaches over 1200 students per year!